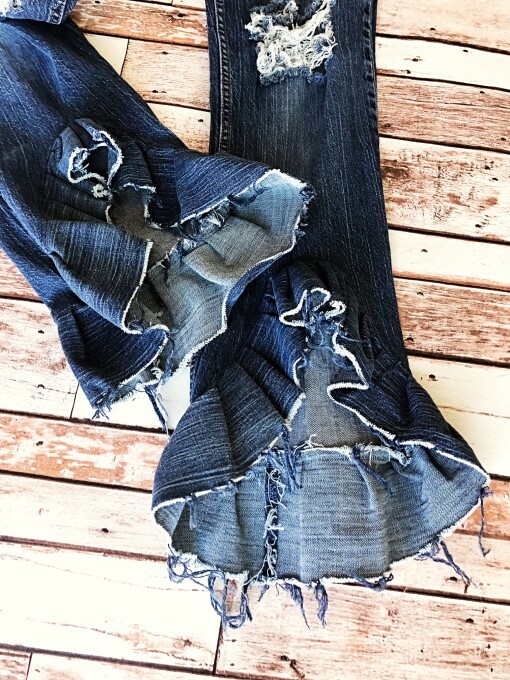 Destroyed highlow ruffle jeans. Ready to ship. 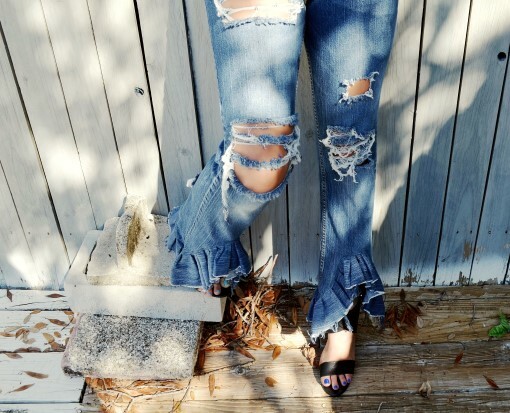 Catalog > Destroyed high/low ruffle jeans. Ready to ship. 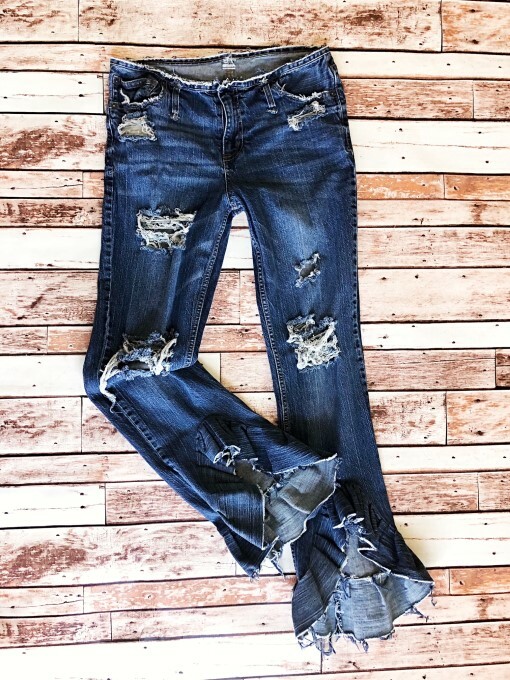 One of a kind jeans with distressing and high/low ruffles at the pant leg. So feminine. LOVE! This is the pair from the photo shoot. Shown on the model. Destroyed denim. Super soft denim. 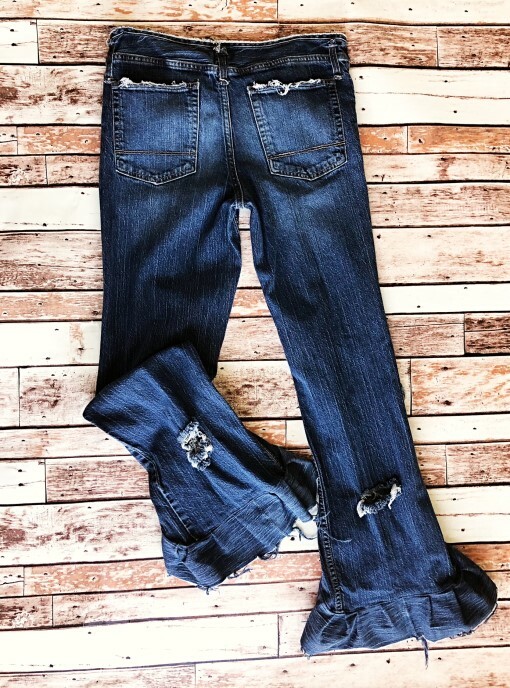 One of a kind, jeans. Color: Dark blue. WAIST . 32". At high rise. RISE . 9.5" High rise.